Continuing on a theme (*SUMMER*), let’s turn our attention to that vast expanse called our bodies. If you’re blessed with a gorgeous skintone that looks great year round, or you’ve embraced a naturally pale look, I envy you, and you can click onwards to another corner of the internet. But if you’re staring at your pale legs and silently crying, you’re in the right place. I’m personally very pale and most sunless tanners scare me. I have a few favorites, but generally speaking I’m in the camp of gradual tanning. The dose of self-tanner in these is so low that it’s really hard to mess up. 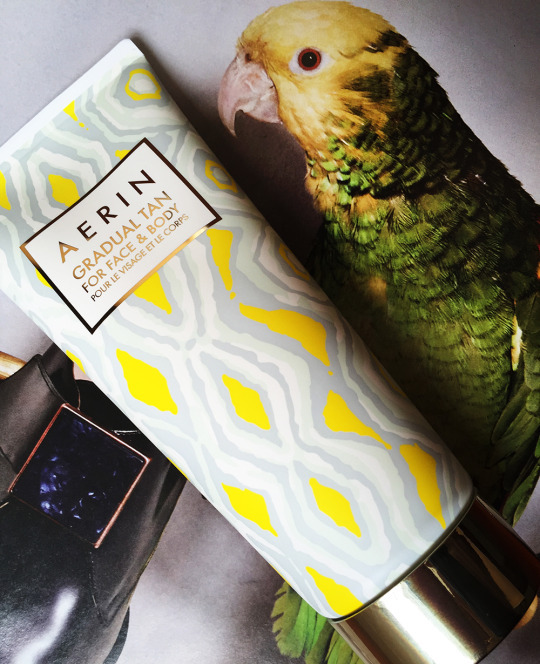 Aerin Lauder Gradual Tan for Face & Body is her latest offering and my current daily drug of choice. It’s not only beautiful to look at, but smells like a buttery dream, and gives very natural and slow-building results. For these reasons it is the hottest thing since sliced bread, but you can find it on Saks.com and a few other retailers. It’s luxe so it would make a great wedding shower or grad gift for a little pampering that she might not buy herself.